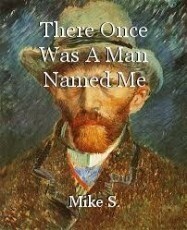 There Once Was A Man Named Me, poem by Mike S.
who's imagination roamed less wild and free. when blindsided by a fate he couldn't see! but now he can't be all that he can be! now he gets his kicks online, and for free! whose imagination roamed less wild and free. Wow, Mike, you got me laughing through my tears with this! Humor on a serious subject, and there sure is no other you! Thank you, and I laugh at suckage! This page was created in 0.5344 seconds.